Some webmasters are well versed in all of the above areas, while some specialize in a few, niche areas. For example, some webmasters are really digital marketing specialists who focus on SEO (search engine optimization), content strategy and driving traffic/leads to your site. Others may be web developers who are experts in coding, technical support and hosting. With so many companies around that specialize in these areas, why have a dedicated, personal webmaster for your business? Read on. A few months back, I noticed that a client site on which we do periodic content updates, was outdated and not in optimum technical shape. 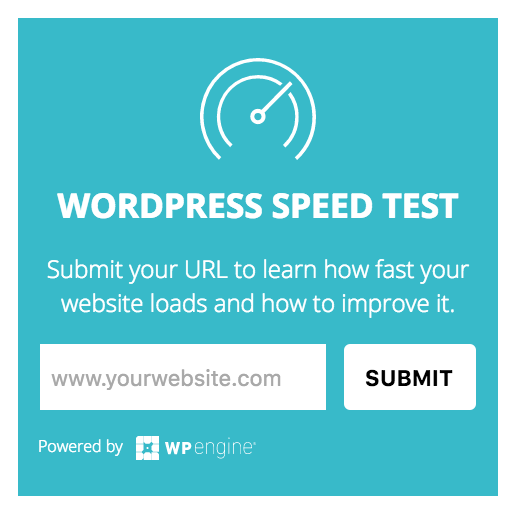 I reached out to the owner (a long-time client) and suggested they let us develop a new WordPress website for their restaurant. The owner explained he did not want a new site at that time, so we continued the last round of content edits, and planned on following up months down the road. As luck (or bad luck) would have it, his General Manager emailed me in a panic a few weeks later. She explained that their website was down and was understandably frustrated, as she books all their group business via the website. After taking a look, I realized it was a hosting issue. After a little digging, it became obvious that when the current owner bought the business several years back, the previous owner did not hand over the hosting information (not good). He had not renewed hosting and boom…site down. In a situation like this, we recommend doing everything possible to get in touch with the last person who had access to hosting, as it is not ideal to start from scratch. Unfortunately, we could not locate the previous owner, and had to start from square one. This means that our team had to recommend and purchase a new url, set up new hosting, create a temporary landing page explaining that the site was under construction, redirect all links, reverify Google business, etc. Of course, we had to build a new website for their Baltimore Pizza Restaurant as well (you can view the project here). Luckily, we are well-versed in these areas, and took care of the issue in less than 48 hours. So you know where I am going with this right? Unless you yourself are a webmaster, finish reading this blog and start looking for a reliable, capable webmaster asap. The aforementioned story happens more often than it should, and it can greatly affect businesses that rely on online leads. Can you imagine if this happened to an HVAC company in the middle of summer? Or how it would affect hotel bookings if their site goes down for 24 hours? You cannot afford to have your website go down for any reason, as it is your 24/7 sales mechanism. Furthermore, webmasters do more than emergency site troubleshooting. They play a vital role in your online marketing, which essentially means they should be a part of your overall sales and marketing plan. So now that you know the importance of a webmaster, you might be wondering how much hiring one will cost. Since costs are all over the board, the question you really should be asking is – what website tasks will be delegated to my webmaster? As I mentioned above, some webmasters do it it all, but in general (unless you hire an agency) they will fall into one of two camps – 1. online marketers or 2. website developers. It is perfectly fine to hire both an online marketing agency/consultant AND a web developer/engineer. In fact, it may be better to do so, because the more specialized the consultant is, the better they are at their craft. I have not personally met any web developers/engineers who are experts in digital marketing and vice versa (that does not mean they don’t exist). The exception is to hire an agency that has both these types of specialists on their team. At Smith & 7, we specialize in webmaster services for WordPress websites. If you are not familiar with WordPress, it refers to a CMS (content management system) which many of the world’s websites are built upon. It offers beautifully designed framework that is not only user-friendly but also very SEO-friendly. We offer both technical webmaster solutions in addition to comprehensive digital marketing and inbound solutions. 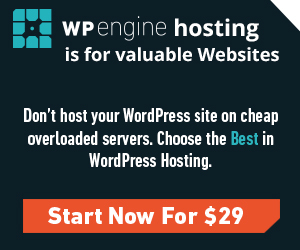 We proudly host with WP Engine, which we have found to be the absolute BEST in hosting for WordPress websites. For more information on hiring us as your webmaster or your digital marketing specialists, please email us or submit a request online. Have you had a good or bad experience with a webmaster? Please share in the comments below. https://smithand7.com/wp-content/uploads/2017/03/car-engine-1738309_1280.jpg 868 1280 smithand7 http://smithand7.com/wp-content/uploads/2017/12/Untitled-design-13.png smithand72017-03-17 04:04:062017-12-05 15:08:02What is a webmaster? Do I need one for my small business?